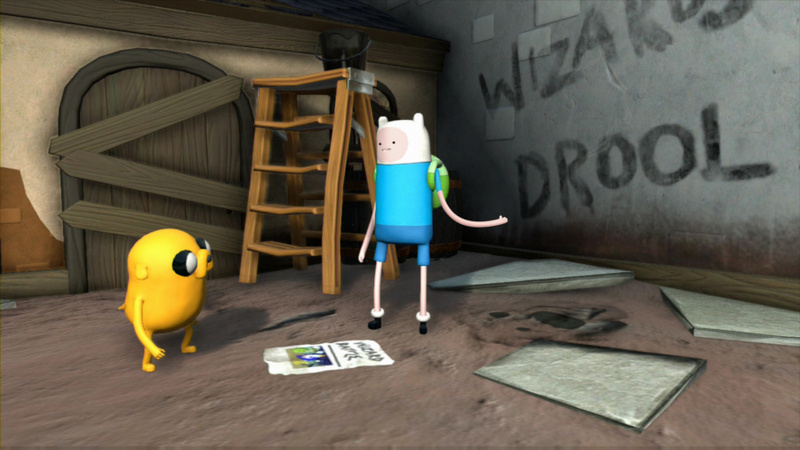 Adventure Time, the quirky show with fans of various ages, hasn't been short of video games to spread its brand. Nintendo systems have benefited from these titles, too, with the Wii U and 3DS being rather well served. 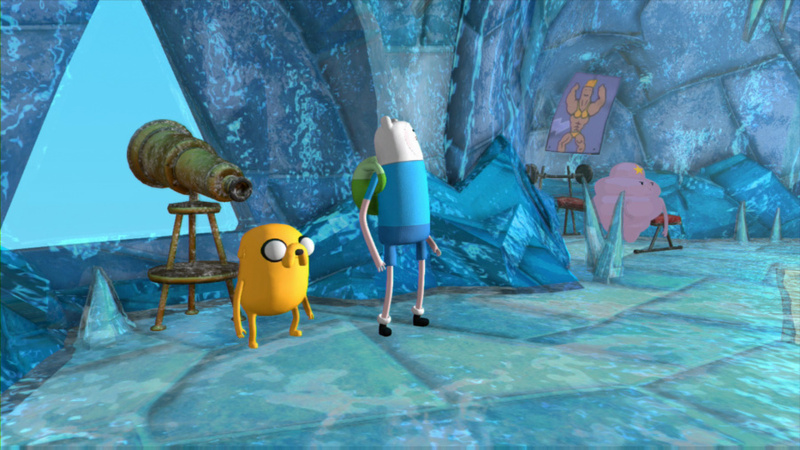 It's not surprising, then, that another is on the way this Autumn / Fall - Adventure Time: Finn and Jake Investigations. It's coming to both the Wii U and 3DS; Nintendo's home console is listed with PS4 and Xbox One as one of the notable current-gen systems, with the selling point this time being that it'll be set in a fully 3D world. 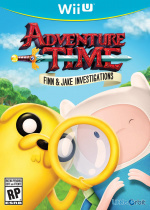 Published by Little Orbit and developed by Vicious Cycle, it'll apparently have the duo as Professional Investigators that explore, solve puzzles and tackle enemies. You can see how this is shaping up in a couple of screens and video, below. It'll be interesting to see how this one pans out, even if the early screens and footage are arguably rather modest. Quite how different the game will be on 3DS will be something else to follow. This one's due to come out this Fall / Autumn in North America and Europe - do you like what you see so far? Visually, it looks really good for a cartoon licensed game. I hope there is not a big change (more than the resolution of textures) between the home console and the handheld. This one isn't being developed by WayForward...should I be worried? Wait a second--it's like seeing a licensed game from the nineties again! I mean... back in the nineties, few games used cel shading or 2D graphics altogether, all cartoons in licensed games went 3D. Seeing this effect again made my nostalgia sense tingle a bit. Could this replace the 3D Spongebob Games? When I say this, I mean how fun they were, especially on the PS2. Good times playing Battle For Bikini Bottom! Looks like a primary school kid's project in Unity. I'm just glad this one is coming to the Wii U, seeing as how Secret of the Nameless Kingdom skipped it. If the gameplay is as decent as the visuals, this will be a day one buy for me. The only thing I could think of when I saw that title was an Adventure Tine/Ace Attorney crossover. The fact that WayForward has no involvement worries me. IDK by Wayforward was a steaming pile of crap that really brought down my respect for them after the excellent 3DS game. I shall give these guys a chance after reviews of course as it's licensed. @SetupDisk This isn't made by WayForward. His running animation is just plain weird. <_< that's why I typed I will give these guys a chance. JJ flip, what the zip? So, this is a point and click? Or is it an Ocarina of Time clone? 3D platformer? I'm confused. 3D!? Well, color me interested. I'll definitely keep an eye on this one. BTW, WayForward's AT games haven't been that good either. Still haven't picked up Secret of the Nameless Kingdom yet, and that's supposed to be pretty good. Not really feeling that running animation. I know this has been mentioned plenty of times already, but that running animation is really weird. point and click adventure, i think that says it all. I'm reasonably hopeful for this, previous AT games have been mediocre to irritatingly shy of fantastic, I just hope they take third time and get everything polished with this one. LOVE the run cycle! He seems to quit it when he slows down. I would pay a dollar just to run around like that. Throw in some fun Jake moves = sold. Just a dolllar mind. The fact that this isn't being developed by WayForward is interesting and a little concerning. Personally I can't stand the visuals in the trailer, they look really 'ugly-3D-licensed-game-of-a-2D-Franchise'. @Wolfgabe WayForward made the last few, new dev this time. Sigh... The 000's were, yet again, better. Show developers are just getting lazier by the minute making their shows, and this game looks like no exception. Does anyone at all agree? Battle for Bikini Bottom was THE POOP man! @Rayraytigercub haha my younger brother got it at the time and it was a good game for what it was!... "BIKINI BOTTOM"
I am hoping the game to be good. And I hope I get the game <3 or the demo to test it out to see if it's good or not o u o!! But by the trailer and little gameplay itself it looks good. I am just hoping its not short nor crappy like other 3ds games.